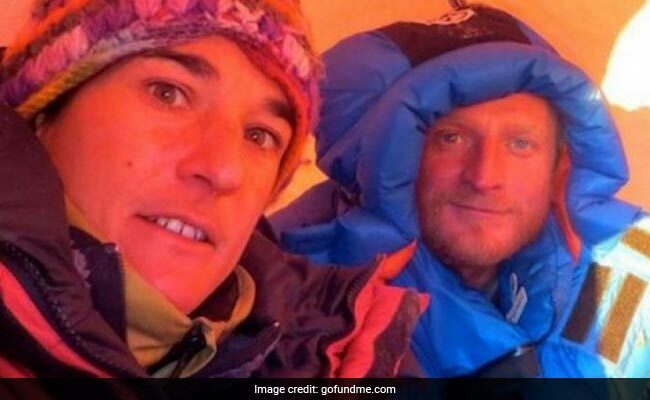 It comes a day after Elisabeth Revol, from France, and Polish national Tomek Mackiewicz were spotted through binoculars by fellow climbers at the base camp. Islamabad: Pakistan launched a search Saturday for two mountain climbers who went missing while attempting to climb the country's second-highest peak Nanga Parbat, nicknamed "Killer Mountain" for its treacherous terrain. "We have dropped down four individuals who have seen (Revol)," an official from Pakistan's military, which is conducting the operation, told AFP. "They hopefully will recover the lady tonight," he said, adding that saving Mackiewicz will be "quite difficult" because he is believed to "be present on a very high point". "But it is possible," he said. A spokesman for the Alpine Club of Pakistan said that four mountaineers were lifted from the base camp of the country's highest mountain K-2 to rescue the missing climbers. "The rescue operation was started in the afternoon and army helicopters dropped volunteers in the area where the mountaineers are believed to be missing," Karar Haideri told AFP. "The operation was delayed in the morning because of bad weather," he added. According to the tour managers who arranged the pair's expedition, Revol has sent messages from the mountain expressing concern over Mackiewicz's fate. "For Tomek, I don't think we can have any more hope. This is a tragedy. I'm deeply affected," the tour operators quoted her most recent message as saying. They said she has also reported bad weather on the mountain, writing: "There is fog, and I couldn't see or hear any sound of helicopters, and I want to believe it again." Nanga Parbat, in northern Pakistan, is the world's ninth highest mountain at 8,125 metres (26,660 feet). It earned the nickname "killer mountain" after more than 30 climbers died trying to conquer it before the first successful summit in 1953. In July last year, a Spaniard and an Argentinian were presumed dead after they went missing while trying to summit Nanga Parbat.